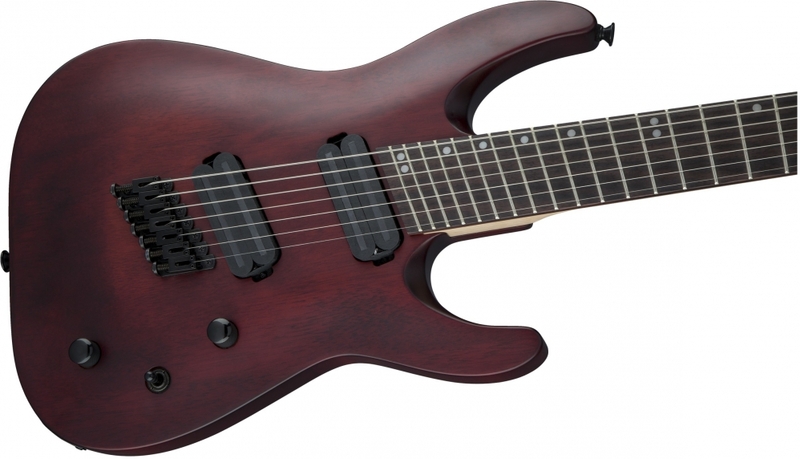 Shred in ergonomic comfort and style with the Jackson X Series Dinky Arch Top DKAF7 MS. A high-performance evolution of the electric guitar, this 7-string multi-scale model unlocks the possibilities of an instrument by accommodating two scale lengths on one fingerboard, thus improving overall playing comfort while improving tension and intonation. 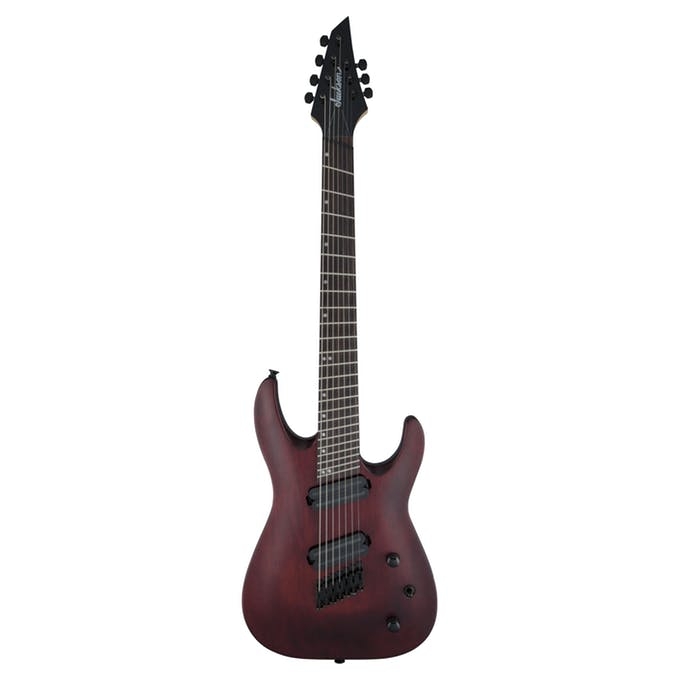 Features a 25.5"-27" multi-scale length, mahogany body with an arched top, one-piece bolt-on maple neck with graphite reinforcement and scarf joint, 12"-16" compound radius dark rosewood fingerboard with 24 jumbo frets and offset dot inlays, Jackson die-cast tuners and AT-1 4x3 (four on top, three on bottom) headstock. 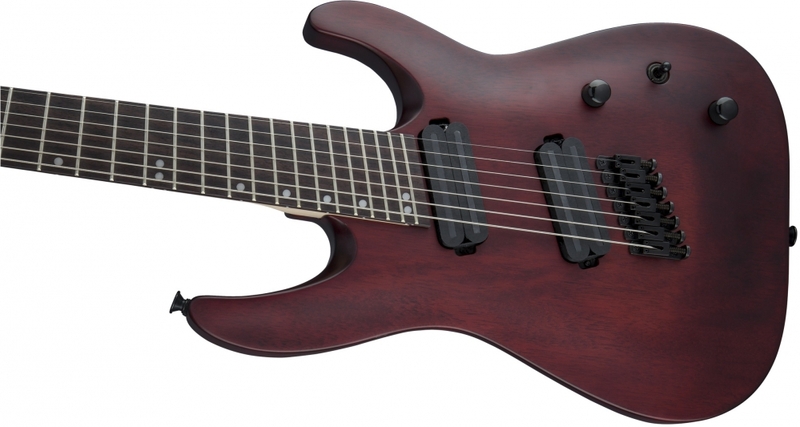 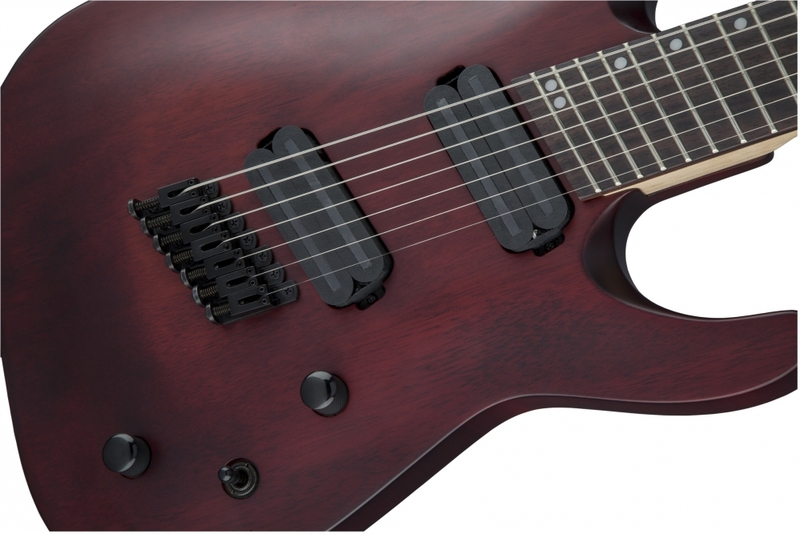 Dual Jackson uncovered 7-string blade humbucking pickups power this metal beast and can be shaped by a three-way toggle switch and volume and tone controls.